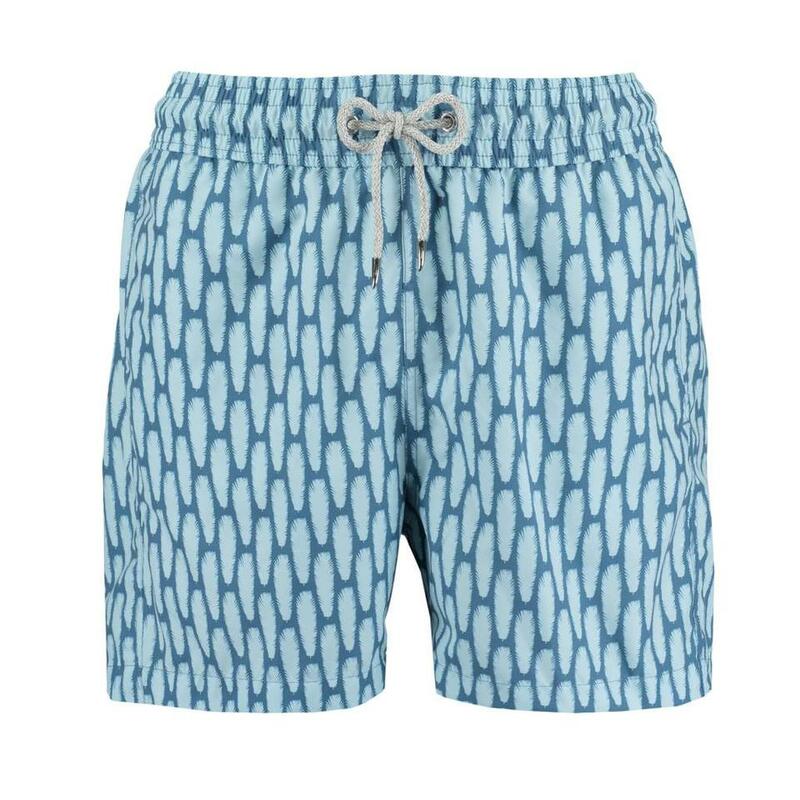 Designed for performance and effortless style but never compromising on comfort. 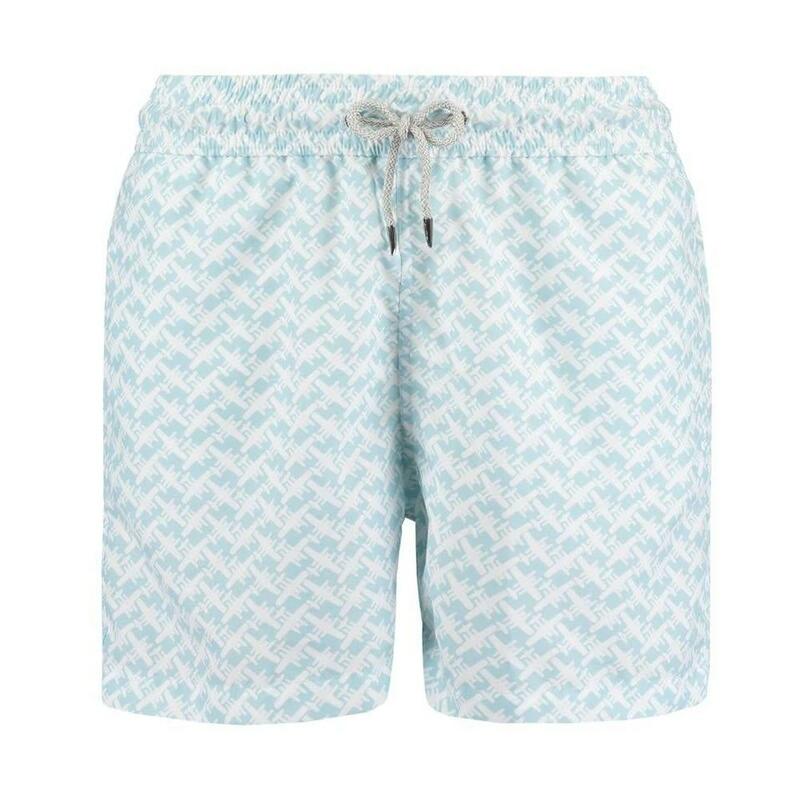 Our Classic Swim Shorts are famously soft and comfortable. 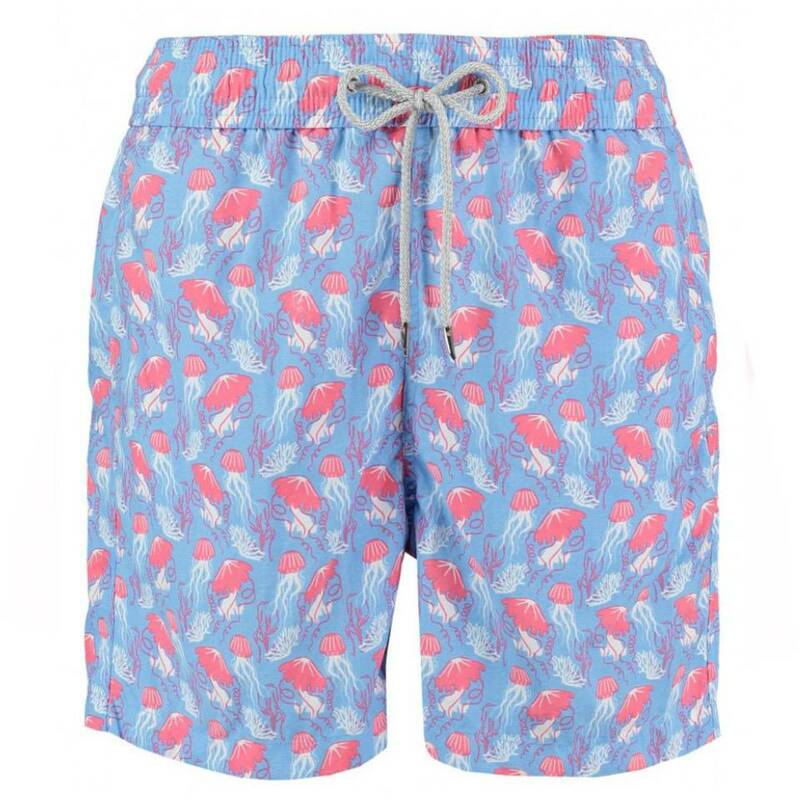 Crafted with our fast drying fabric, durable mesh lining and relaxed elastic waistband. The drawstring includes our 'tusk' shaped hardware, symbolising the brands commitment to elephant conservation. The shorts also feature our signature woven label, stamped water escape eyelets, open side pockets and a velcro-seal back pocket. 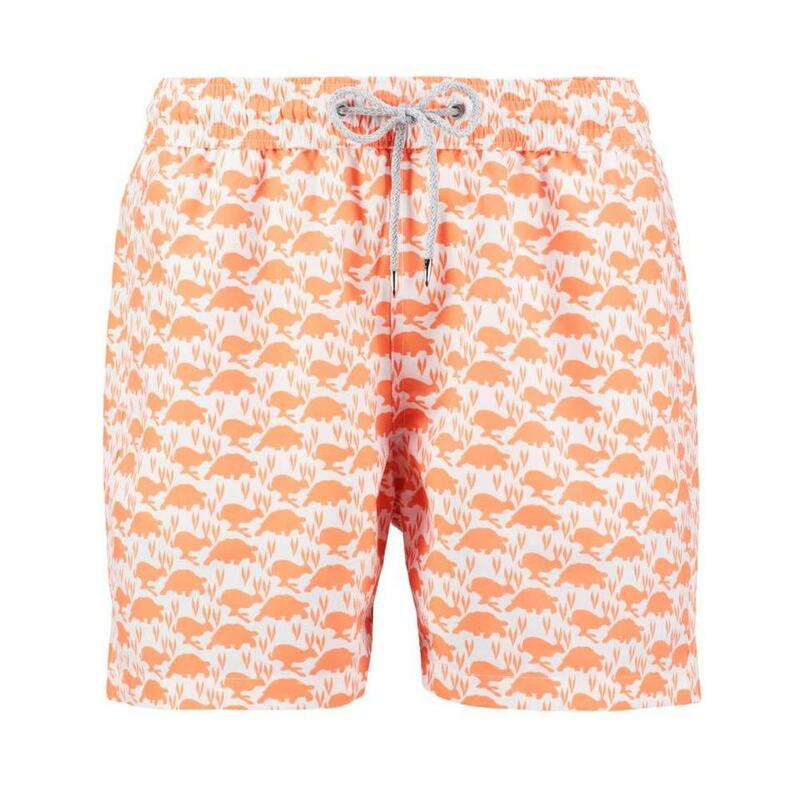 Perfect when packing your Summer suitcase. 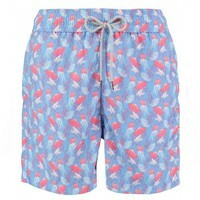 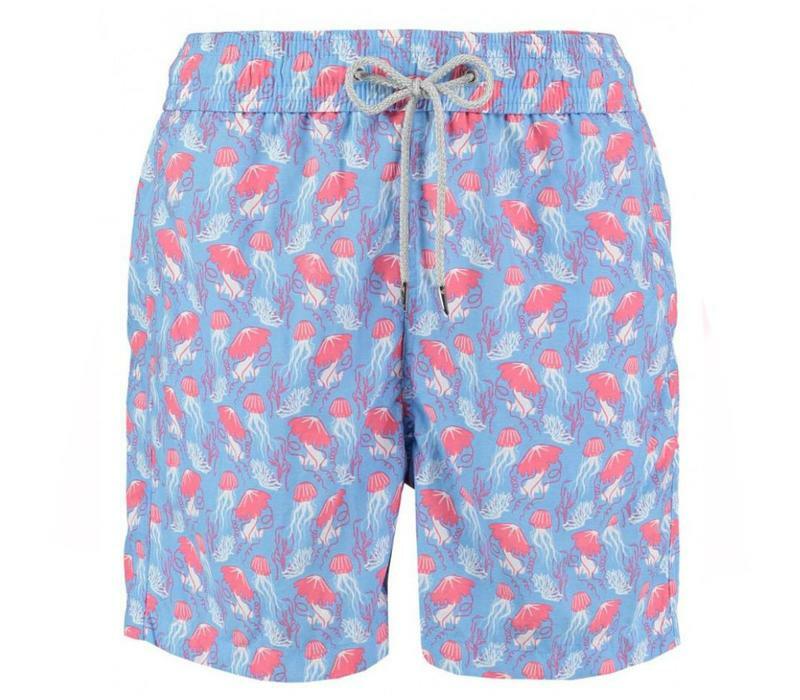 An elegant mid-length mens swim short in our limited edition sky blue jellyfish and coral print, inspired by the underwater environment of the Tropics.